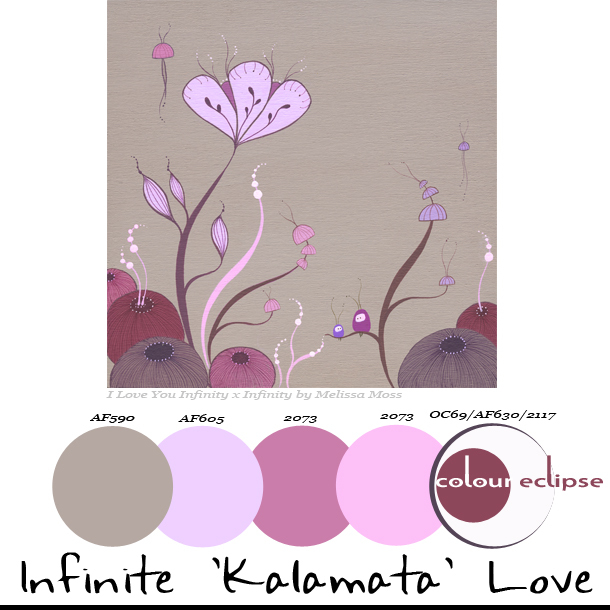 Paint: All colors from Benjamin Moore: AF-590 tempest, AF-605 slip, 2073-40 purple hyacinth, 2073-60 pale iris, OC-69 white opulence, AF-630 kalamata, 2117-30 shadow. Art: I Love You Infinity x Infinity by Melissa Moss. If you use this paint palette in one of your design projects, let me know. I would love to see how it turns out!